I'm at my FIL's house now. It takes about ten hours to reach my husband's home town. There were traffic jams on some spots, but it isn't the severe one. I share here a few of beauties that I saw during the car ride. The weather was so hot and bright. I saw more dry fields and rivers. It seemed that the rain hasn't yet been falling for months there. The fields look so lush and healthy...wonderful photographs! Lovely shots of the rice field, reminds me of my childhood hehhe! My skywatch please drop by if you have time. Have a nice weekend. Lovely contrast between the green and the blue of the sky. Hi I'm arriving here from Skywatch. 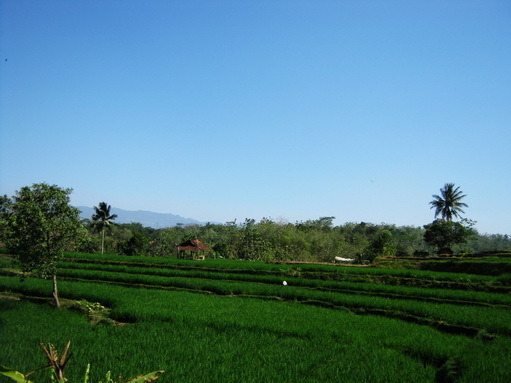 Rice fields remind me of my childhood as well. Great photos. These looks everything here is fresh. Looks like I am looking the Philippines. 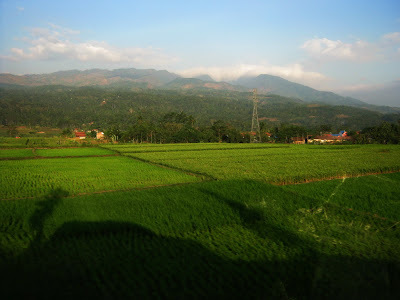 Lovely paddy field,i love those terraced ones.